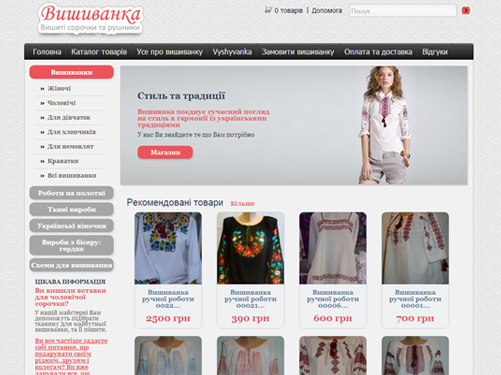 This project was for Ukraine company from Lviv, which deals with selling Ukranian national clothes, which calls “vyshyvanka”. The main task was to create e-commerce store with simply managed CMS, to allow person without magnifical computer skills easily work with it and add new products, new information, update prices and other. Also we needed to design appearance of web site with some national identity. We provided unique design for home page, product page, page for single product item, shopping cart and checkout page. We used WordPress as content management system for this website.